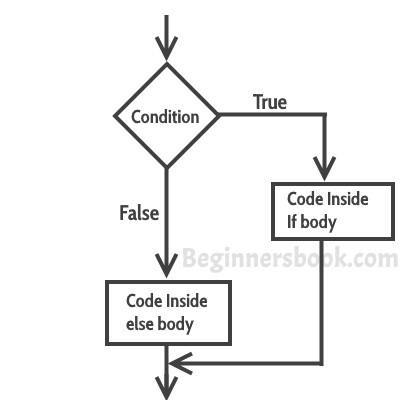 The statements inside if parenthesis (usually referred as if body) gets executed only when the given condition is true. If the condition is false then the statements inside if body are completely ignored. Statement1 would execute if the condition_1 is true. Statement2 would only execute if both the conditions( condition_1 and condition_2) are true. Sometimes you have a condition and you want to execute a block of code if condition is true and execute another piece of code if the same condition is false. This can be achieved in C++ using if-else statement. 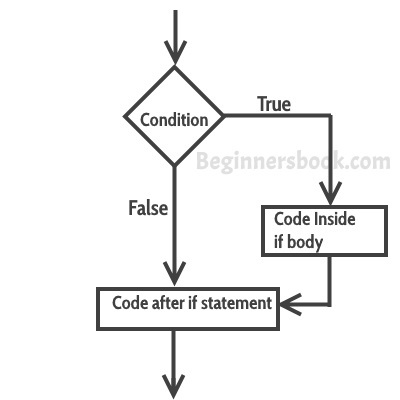 The statements inside “if” would execute if the condition is true, and the statements inside “else” would execute if the condition is false. Note: The most important point to note here is that in if-else-if, as soon as the condition is met, the corresponding set of statements get executed, rest gets ignored. If none of the condition is met then the statements inside “else” gets executed.